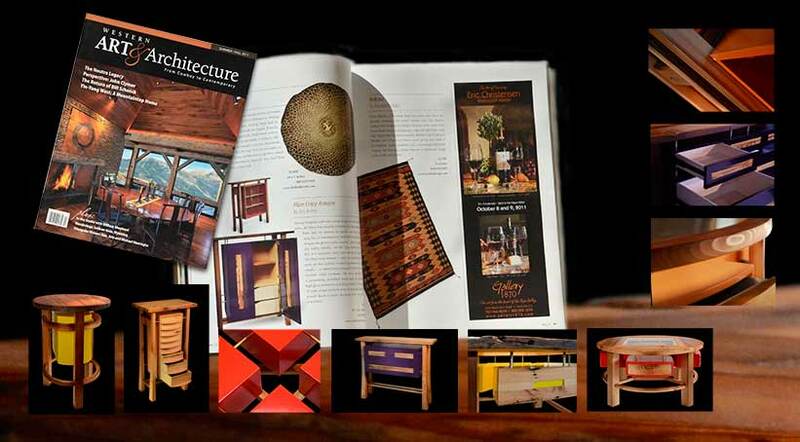 Red Beam Studios was featured in Art & Architecture's "What we like," section. Photography and campaign development by Aaberg Studio. For the nCenter, Aaberg Studio defined and communicated the primary message of living life "In balance." 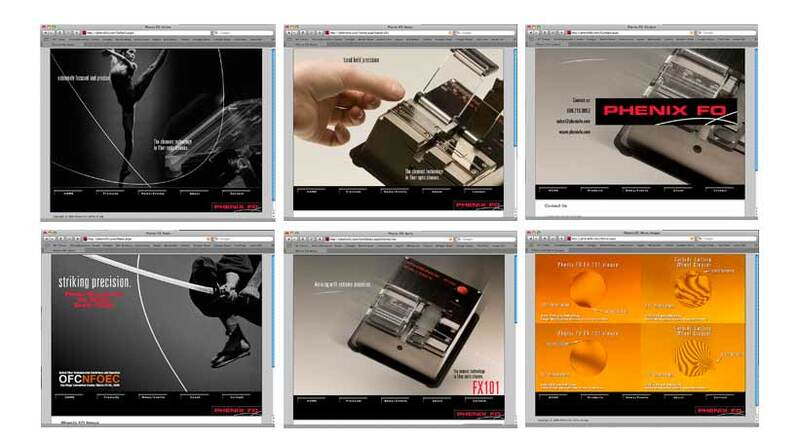 The project included naming, logo & identity development, brochure, presentation and web site design. 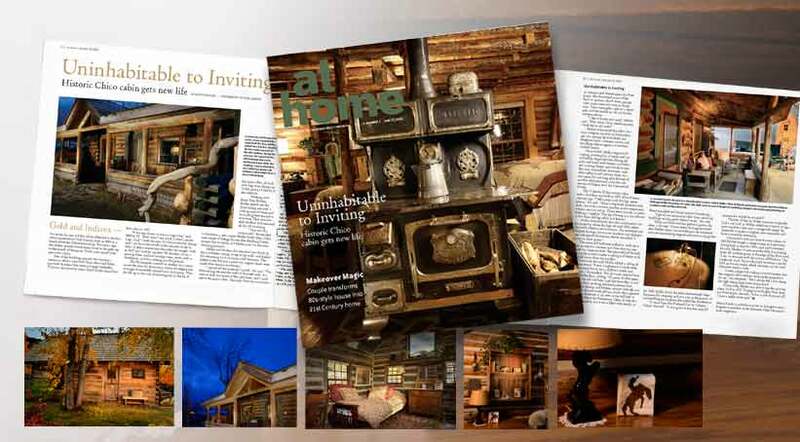 Aaberg Studio is also capable of on site photography as showcased in this issue of At Home magazine. 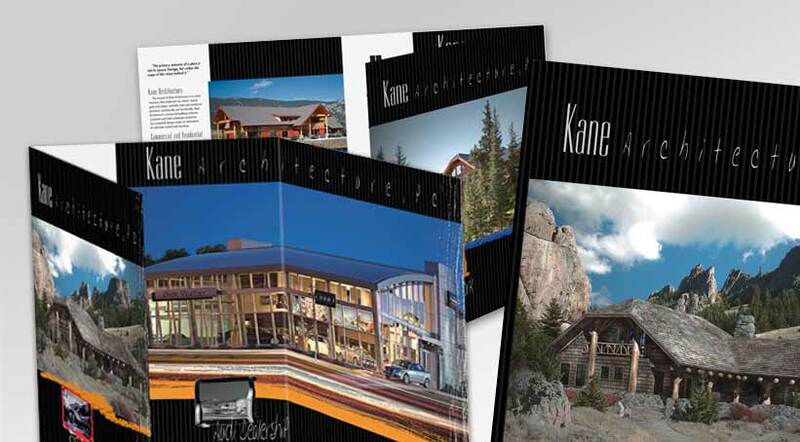 Aaberg Studio created a high quality portfolio brochure to showcase the best examples of Kane Architecture's designs. 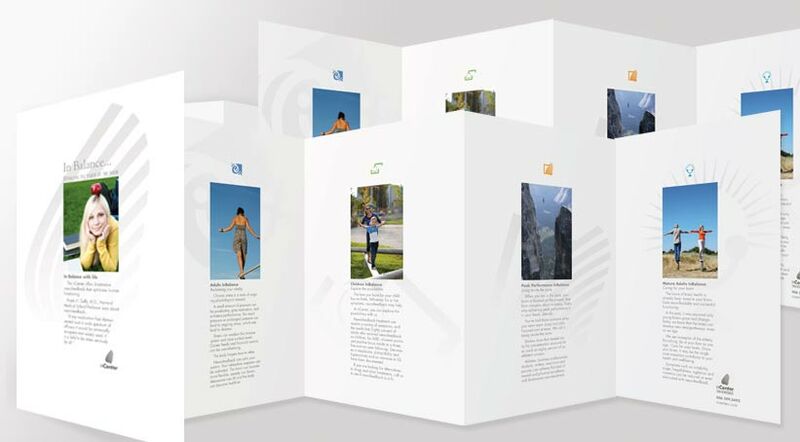 The project encompassed both commercial, residential and interior examples of architecture.This included a re-branding of the logo, concept and copy development, art direction, print supervision and production of a 6 color offset brochure with both gloss and matte varnishes. 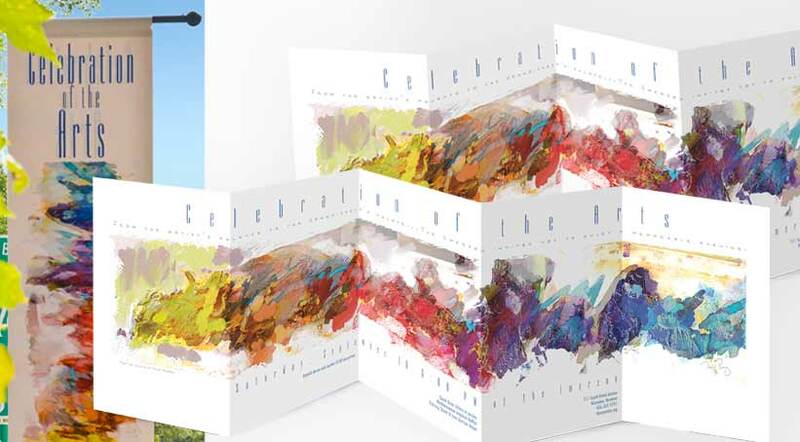 Aaberg Studio created a complete campaign for The Celebration of the Arts fundraiser. 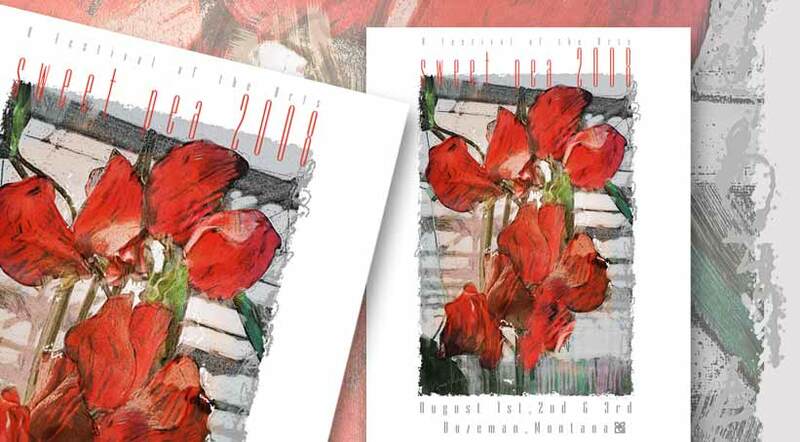 The theme, "From the Artist's Palette," included the creation of the artwork that was utilized on postcards, a brochure invitation and interior/exterior full length banners. The banners became a major part of the interior environment for the evening celebration. The Igherm Restoration and Library Project was a fundraising project for a historic preservation and cultural outreach program in Morocco. 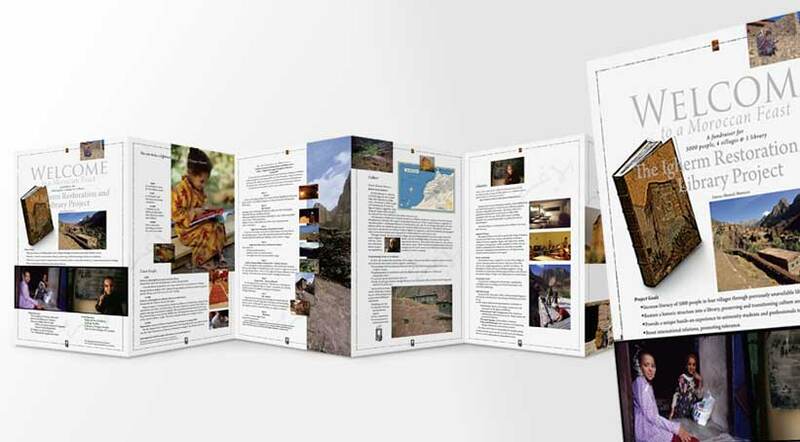 The project raised funding for an architectural renovation of an ancient fortified granary (Igherm) to create a library and increase literacy for local women and children.The project included the creation of a logo, invitations, information panels, and campaign theme graphics to raise and facilitate awareness of the project. 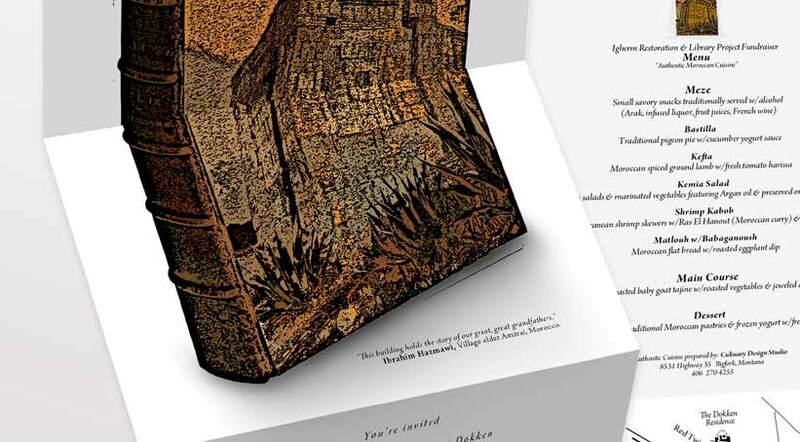 Detail from Igherm Restoration Invitation. "You can make a difference." 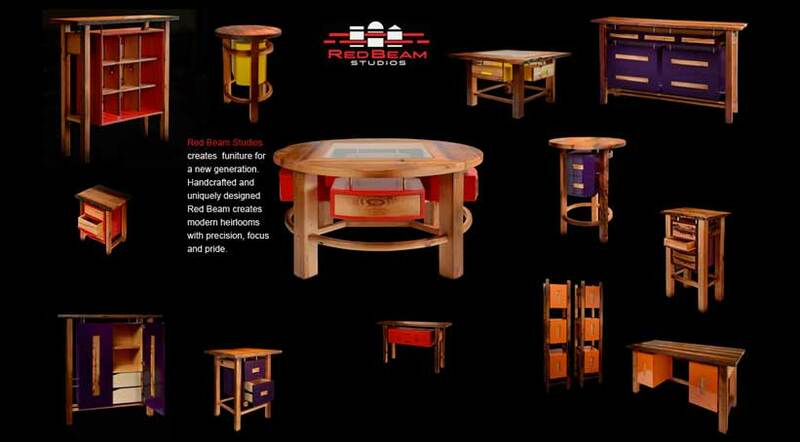 Red Beam Studios Web site. Photography, campaign development and web site by Aaberg Studio. Aaberg Studio created an identity and branding campaign for Phenix FO fiber optics to emphasize the extreme precision and focus of their new proprietary cutting technology for fiber optic cable. The project included logo, brand identity, campaign theme development, data sheets, trade show design, construction supervision and web site design. Aaberg Studio created the winning entry for the Sweet Pea Festival, an example of Aaberg Studios's distinctive art and design capabilities. 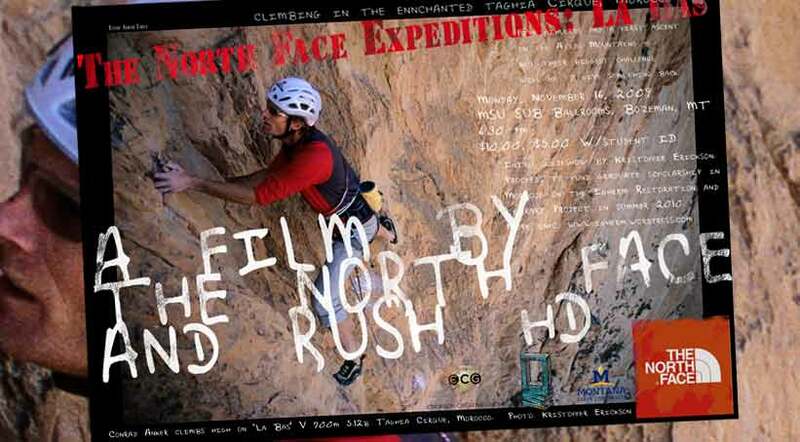 Movie Poster for a first ascent of Taghia Cirque in the Atlas mountains of Morocco. Photograph of Conrad Anker. 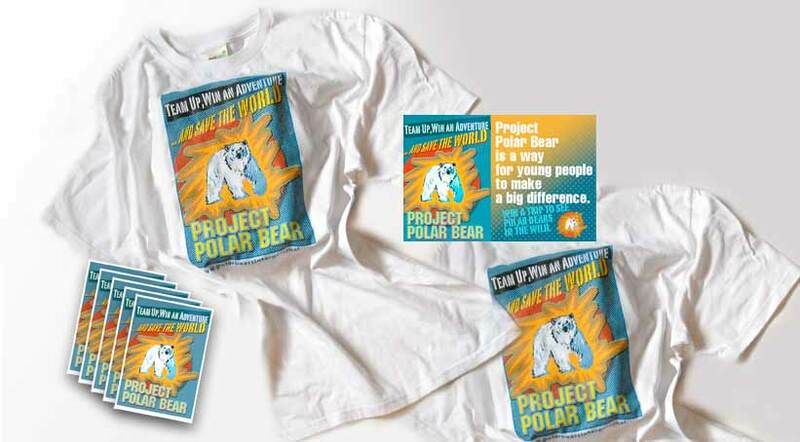 Project Polar Bear was a program to promote interest with school kids and young adults to participate with Polar Bears International to create community projects across the country to reduce carbon emissions.The project included defining a visual response appealing to young people and designing a graphic to be used on the web site, in E-cards and printed on t-shirts. 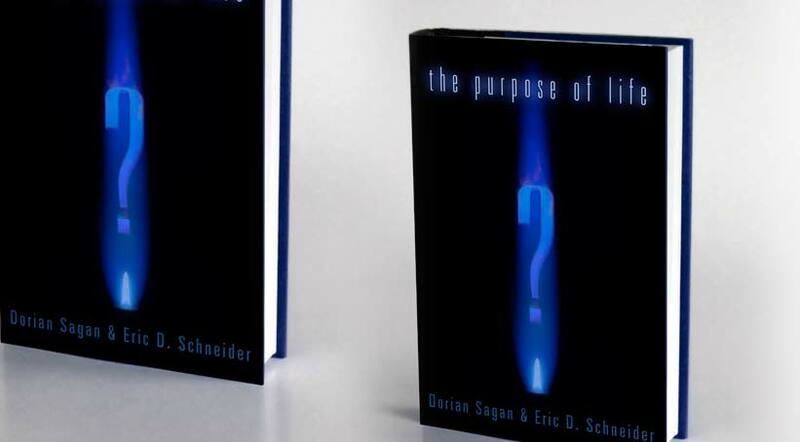 Proposed book cover for author Eric Schneider about how thermal temperature differentials have contributed as a stimulus in the evolution of life. Cover reflects the influence of his first book. 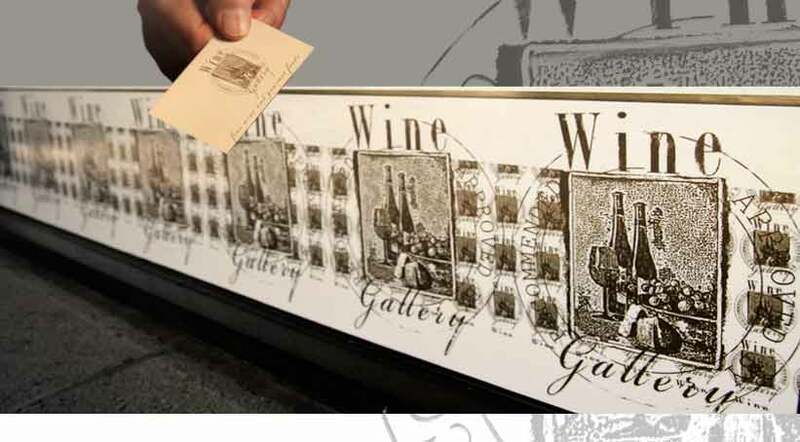 Aaberg Studio created a distinctive logo for the Wine Gallery, the logo was adapted to marketing materials, signage and window graphics. E-mail: aabergstudio@mac.com Web site design by Aaberg Studio, Dana Aaberg © 2012.